The village of Port Jefferson was purchased by settlers from the Setauket tribe in the mid-17th century. It was then known as Sowassett, which may have been a corruption of the word “Poquossett,” loosely meaning a place where waterways widen and engorge the land. It was renamed Drowned Meadow in 1682 by the small, five-home community that stood through the 1700’s, but began growing into a larger village in the early 19th century as ship building became its main source of revenue. The town finally settled on its current name in 1836 both to make its ship businesses more attractive and to honor President Thomas Jefferson, who funded a project that prevented the flooding of the village’s lower portion. In the later part of the 1800’s, a lucrative whaling industry grew from the area’s successful ship constructing and innate aptitude for seaports. In 1964 Port Jefferson became an officially incorporated village. Its union free school district has an elementary, middle, and high school which have been recognized by the NAMM foundation as one of the “Best 100 Communities for Music Education.” The village holds a number of festivals throughout the year, including a Fourth of July parade and famous Charles Dickens Festival in December. A weekly farmer’s market is held on Sundays during the warmer months, and the village’s quaint business district provides a popular array of small shops and unique restaurants year round. 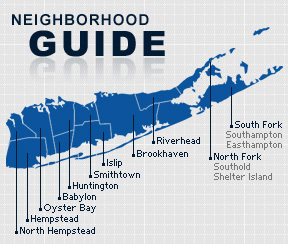 As of the 2010 census, Port Jefferson had a total population of 7,750 with 3,090 households and an average of just under two and a half persons per home. The median household income was $98,355 with males making $72,160 and females $54,572.